The court granted plaintiff's motion for a permanent injunction even though the parties were not direct competitors. "The Court is not aware of any precedent which requires direct competition in any form before an injunction may be granted. [Plaintiff] can still prove irreparable harm in the absence of direct competition. . . . Though [defendant] sells the technology to customers and [plaintiff] licenses its services to companies. . . who then sell the technology to customers, there is still indirect competition. . . . [Defendant's] unlawful infringement unquestionably impedes upon the portion of the market share which [plaintiff's licensee] could have, and thus it impedes on [plaintiff's] ability to introduce its patented technology to the portion of the market that [defendant] controls." The court granted defendants' motion for a new damages trial following remand even though defendants had not objected to the use of the 25% rule at trial. "Given the widespread acceptance of the 25 percent rule, it would not have been unreasonable for [defendant] to have failed to raise the issue before the Court. . . . [T]he Federal Circuit had implicitly upheld the use of the 25 percent rule prior to [Uniloc USA, Inc. v. Microsoft Corp., 632 F.3d 1292 (Fed. Cir. 2011)], and Defendant had no notice that an objection to its use would have been fruitful in light of the Federal Circuit’s previous treatment of the rule. The law does not speak in absolutes and recognizes that a litigant might not be aware of the necessity of making an objection at trial where the great weight of the case law suggests that an objection is not worth making." Plaintiffs' motion to compel defendant to produce documents from the original patent owner's prosecution counsel was granted based on the patent purchase agreement between the original owner and defendant. "[The original owner] turned over ownership and control of all of those documents it transferred to [defendant]. . ., thereby waiving any attorney-client privilege as to those documents. Because [defendant] 'controls' the [patent] prosecution documents that [prosecution counsel] has in its possession, the documents must be produced under the existing protective order." The court granted defendants' motion to dismiss plaintiffs' declaratory relief claim for lack of an actual controversy. "[P]laintiffs allege that [defendant] has 'declined to license' to third parties, and that [it] has generally 'warned' the industry that it would not tolerate infringement of the [patent-in-suit]. Unfortunately for plaintiffs, these facts are insufficient to establish an actual controversy under the central lesson of [Innovative Therapies Inc. v. Kinetic Concepts, Inc., 599 F.3d 1377 (Fed. Cir. 2010)]: that a patentee’s actions toward third parties are generally not sufficient to establish declaratory judgment jurisdiction." The court denied plaintiff's motion for a protective order prohibiting a defense lawyer from participating in future depositions because of abusive behavior. "Both sides encourage the review of deposition DVD after deposition DVD. And yet, remarkably, neither side confronts or even truly acknowledges evidence undermining its preferred conclusion, in textbook examples of what psychologists refer to as 'confirmation bias.' Nor does either side point to even one instance in which it followed [the district judge's] explicit instructions for lead trial counsel to meet in person before imposing on the court what is essentially a motion to behave. . . . These instructions were not optional, and at no point have the parties sought relief from these instructions even after the undersigned reminded them of that opportunity. The court must therefore decline to share the conclusions it has reached about what is depicted in the transcripts and DVDs stacked on the court's desk." The court granted defendant's motion to strike a rebuttal expert report written by a new expert. "The issue presented is whether a new expert who did not serve any opening report may nonetheless make a reply submission attacking the opposition reports served by the other side. Neither party has identified any controlling authority on this point. . . . True, reply reports were not explicitly limited to the authors of the opening reports. The Court thought this was already clear and in twelve years of using this form of case management scheduling order, this is the first time anyone has suggested to the contrary. . . . A party with the burden of proof on an issue should not be allowed to secretly prepare an army of 'rebuttal' experts to attack the opposition reports like Odysseus and the Greeks springing forth from their wooden hideout in Troy." Defense counsel's motion to withdraw was denied without prejudice, even though defendant owed counsel more than $275,000, where the only event remaining in the case was a contempt hearing regarding plaintiff's motion to enforce judgment. "The Court is sympathetic to [counsel's] position and acknowledges that $277,749.29 is a significant amount of money. Indeed, that may be even truer for a law firm of only seven attorneys, such as [defense counsel]. The case is so near completion, however, that the Court finds that continued representation by [defense counsel] does not constitute not an 'unreasonable burden.'" In denying defendant's motion for summary judgment of noninfringement, the court rejected defendant's argument that its end users were licensed because the accused software ran only on Microsoft Windows and plaintiff previously granted a license of the patents-in-suit to a "defensive patent aggregator," who in turn granted Microsoft a sub-license extending to end users. "The Court [rejects] [defendant's] argument that because Microsoft is member of RPX, and because [defendant's] software only runs on Microsoft Windows, all uses of [defendant's] software are licensed." What Effects Are Patent Reform Measures Having on the Number of Parties and Patent Cases Being Filed? There has been much speculation on how patent reform will affect the number of patent cases filed in the courts, with particular interest focusing on how many parties will be involved in those suits. Here is what we found using Docket Navigator. In the 45 day period (8/2/11 - 9/15/11) prior to the America Invents Act (AIA), 265 complaints were filed in the top six district courts (courts with the greatest number of patent cases filed), involving 2,272 unique parties. In those same courts during the 45 day period following the AIA (9/16/11 - 10/31/11) 248 complaints were filed, but they involved only 848 parties. The court granted in part defendant's motion for judgment as a matter of law and reduced the jury's lump-sum royalty award of $70 million to $26.3 million where plaintiff's patent covered a small component within defendant's program that did not have a stand-alone market. "Although a reasonable royalty analysis 'necessarily involves an element of approximation and uncertainty,' it is the court’s duty 'to ensure that estimates are tied to . . . proper economic methodologies, not just numbers in an accounting format.' The Court concludes that no reasonable jury could conclude that Outlook within Office is worth $67, leaving the value of Word, Excel, and PowerPoint combined to be only $31. As a result, the Court concludes that the jury’s verdict is not supported by substantial evidence, and therefore, damages are excessive." The court appointed an independent damages expert. 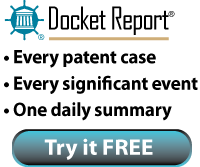 "In this patent and copyright infringement action, an independent damages expert was appointed pursuant to FRE 706 in accordance with the relevant case law, and this memorandum opinion explains why one was needed. . . . [Plaintiff] intends to try 26 claims from six patents and several copyright-infringement theories to the jury. . . . Predictably, the parties and their retained economists have advanced extremely divergent views on the question of damages. . . . [Plaintiff's] economic expert opined that the fair market value of a hypothetical license for the alleged infringement would have been 'at least $1.4 billion' and 'could be as much as $6.1 billion'. In response, [defendant] argued for zero or in the alternative stated that the total value of a real-life licensing offer it rejected -- 'at most, a figure around $100 million' -- should serve as a damages ceiling. The gap between these contentions was enormous. In light of the parties’ extremely divergent views on damages and the unusual complexity of the damages aspect of this case, an independent economic expert was needed to aid the jury." The special master recommended that defendants be precluded from asserting twenty new prior art references in their invalidity contentions without showing "extraordinarily good cause." "Counsel for the [foreign defendants] argues that they are entitled to bring this new prior art now because they are new to this lawsuit and this is their first opportunity to file Invalidity Contentions. However, this argument only goes so far; the [foreign] defendants have extended it beyond its logical bounds. Corporate separateness has been carefully guarded in this case, but to permit a restart when the parties are related and share a common counsel ignores logic. [Defendants] do not dispute that throughout the litigation, all of the [defendants], whether officially brought into the litigation or not, have been represented by common counsel. . . . They had more than one vehicle for supplying prior art references to the party [defendants], and it was in their interest to do so. Defendants should not, under the guise of the Foreign [defendants], be allowed to avoid the [case management schedule] by providing out of time a multitude of new art that should have been presented at the appropriate time." The court denied defendants' motion for summary judgment of noninfringement as to products omitted from plaintiff's final infringement contentions, but ruled that plaintiff was estopped from asserting infringement as to such products. "[Plaintiff] argues that as the case progressed, [its] identification of accused products was narrowed to account for developments in the case, including the acceptance of certain of the Patents-in-Suit into the MPEG LA MPEG-2 patent pool. . . . [Plaintiff] voluntarily relinquished its allegations against these omitted products. Therefore, [plaintiff] is estopped from later re-raising these contentions, but the Court declines to grant summary judgment to [defendants] for non-infringement on these omitted products." Following claim construction, the court evaluated its modified docket control order requiring early disclosure of infringement contentions, plaintiff's licenses, and defendant's sales data to accommodate plaintiff's infringement suit against more than 124 defendants. "Defendants also had the option to disclose source code related to the accused instrumentalities identified in [plaintiff's] P.R. 3-1(c) chart(s). If a Defendant chose to disclose its source code, [plaintiff] was obligated to amend its P.R. 3-1(c) chart(s), incorporating the source code, within 30 days. The parties would then mediate the case, and only after the mediation were Defendants required to comply with P.R. 3-3 and 3-4 and the exchange of disclosures. . . . The parties reported that of the 124 Defendants initially named and the 95 remaining Defendants that appeared at the April status conference, only 20 parties remained in the case. . . . The parties agreed that the early disclosure of source code and sales data facilitated substantive discussions regarding noninfringement and allowed the parties to evaluate their relative positions at an early stage without the need for voluminous and expensive discovery. The parties also stated that the Court’s approach to this type of case, i.e. multiple defendant software patent case, allowed the parties to narrow the number of asserted claims and accused products significantly, in turn, reducing the cost of discovery for the remaining parties." The court granted defendant's motion for summary judgment of no indirect infringement of plaintiffs' seed germination patent because plaintiffs failed to establish underlying direct infringement. "Plaintiffs have not pointed to any instance of a specific customer using [the accused] products to perform all of the steps of the claimed methods. In fact, plaintiffs did not take discovery from any actual [accused] seed distributors or customers to determine whether they perform the claimed methods. . . . Defendant’s advertising materials do not teach all of the claimed steps in combination and they do not claim that the specific limitations of the claims are met by [the accused product]. . . . "[P]laintiffs must show that customers using [the accused product] according to defendant’s instructions will necessarily perform the claimed methods. [Plaintiffs' expert's] tests do not satisfy this standard; rather, they show only 'hypothetical' instances of infringement. . . . Although this may seem like a high burden to meet at the summary judgment stage, this standard applies only because plaintiffs failed to adduce evidence of at least one example of a specific customer who had performed all of the claimed methods." In response to the parties' submission of a Joint Case Management Statement in accordance with FRCP 26(f), the court entered an Order Re Parties' Production of Electronic Documents "adopting a version of the Model Order on E-Discovery in Patent Cases ('Model Order') recently promulgated by a subcommittee of the Advisory Council of the Federal Circuit." In doing so, the court rejected plaintiff's argument that the Model Order was not designed for cases involving competitors. "The court is not persuaded by [plaintiff's] argument for at least two reasons. First, although the undersigned will not presume to know whether Chief Judge Rader or any of the esteemed members of the subcommittee were focused exclusively on reducing discovery costs in so-called 'NPE' cases, there is nothing in the language of the Chief Judge's speech or the text of the model order so limiting its application. Second, and more fundamentally, there is no reason to believe that competitor cases present less compelling circumstances in which to impose reasonable restrictions on the timing and scope of email discovery. To the extent [plaintiff] faces unique or particularly undue constraints as a result of the limitations, it remains free, under the Model Order, to seek relief from the court. . . . And if competitor cases such as this lack the asymmetrical production burden often found in NPE cases, so that two parties might benefit from production restrictions, the Model Order would seem more appropriate, not less." The court granted plaintiff's motion to strike defendants' answer and enter default as to liability as a sanction for defendants' three-year long lie about sending an infringement letter to one of plaintiff's suppliers. "The Court can think of few types of conduct that would be more egregious and harmful to the judicial process than knowingly lying in response to a Court order. . . . The publication of the letter is at the heart of this litigation. . . . The failure to disclose the information undoubtedly altered the discovery process and likely has expanded this litigation. . . . [Defendants' president thought he] could lie when it suited his financial interests to do so. . . . The minimum sanction necessary to redress this flagrant and dishonest disregard for the Court’s order is the ultimate sanction." The court granted in part plaintiff's motion to preclude improper damages testimony. "[Defendant's expert's] proffered testimony regarding possible 'design arounds' as alternatives to the patented technology is wholly speculative and, consequently, not helpful to the trier of fact. There is no indication that any of the technical alternatives proposed by [him] would work. [He] admitted as much at his deposition. ('I have no idea whether or not they would be commercially viable.')" Defendant's motion for attorneys' fees under 35 U.S.C. § 285 following summary judgment was denied. "[Plaintiff] could not have determined noninfringement from examination of the samples, even aided by demonstrations and discussions with [defendant]. . . . [W]hether [defendant's] products infringed [plaintiff's] patent was a 'question of claim construction.'. . . Because infringement was determined, in this case, by claim construction -- rather than by questions of mechanical structure, functioning, and operations -- [plaintiff] could not have known, based on technical examinations alone, that its claims would not succeed."